I have more than a few USB cables, and I seem to misplace them almost as often as my favorite pen. To make it on this list as a top rated USB 3.0 Cable, it needs to meet some standards. Check out our intro on the differences between USB 3.0 and USB-C, especially if you are getting some newer devices. We look into cost, durability and functionality for this review. A general guideline is that a quality cable with good connectors should cost around $1 per foot. 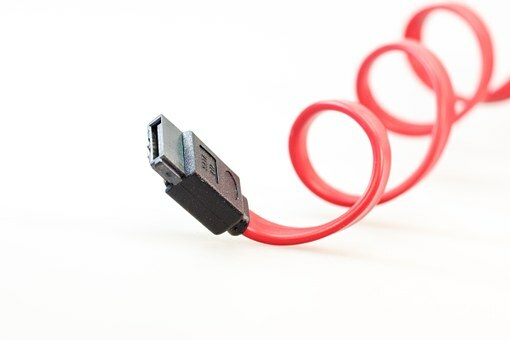 A very short cable, at 1 foot or under, will cost a bit more since the connector cost will factor in more than the wiring. Similarly, for longer cables, the price per foot starts to drop. In theory, the maximum data rate is 5 Gbps (Giga-bits per second), with a new USB 3.1 reaching 10 Gbps. These are also backward compatible with the USB 2.0 devices. [This means it supports at a minimum the “high-speed” data rates of 480 Mbps (which is 60 MBytes per second) that was available with USB 2.0. Some USB 2.0 cables are only rated for “standard speed” of 1.5 Mbps (e.g.,”sub-channel”) compliant]. Most devices connected with USB cables will have a hard time sending out at 5 Gbps, and there are very few which consume data at these rates. Cameras and storage drives are the only two devices that routinely transfer this much data. (Here’s a friendly reminder to back up your computer … don’t worry, you can finish reading this once that’s one. And you can also check out our picks for best back-up drives if you need some hardware). Many cables get rolled up and stuffed in my backpack, and then unrolled again when I’m ready to use. Some, like the one from my wi-fi router to my back-up drive, get plugged in once and stay there until the device on either end gets swapped out. In either case, the plastic on the cable has to stand up to a little bit of abuse as well as at least a year or two of laying around. The cable can’t get brittle or break. A fun factoid: Since many computers, laptops and other devices may have both USB 2.0 and USB 3.0 ports, the USB specification says the insulating plastic must be bright blue on USB 3.0 ports, but black on USB 2.0 ports. This makes it to easily distinguish which type of USB you have. Plugging the cable in time after time can take be harsh on the connector, causing it to bend or pins to get mis-aligned. Most commercial cables will easily survive a thousand insertions, and industrial cables can go up to ten thousand. Many people feel that the gold plated connectors and pins are best, but for regular usage I don’t find it’s worth the extra cost. A cable with gold plate can cost 2x or 3x that of a non-gold plate cable. A quick comment on the “ferrite bead” at the end of the cable. This is the larger, cylindrical enclosure (you can read more here for information on ferrites) used to filter high frequency noise and help with high speed data transfers. In my usage, I haven’t found these to make a difference in performance but they do make the cables bulkier and a little more expensive. So for me, I prefer not to have them. If you are in an industrial setting or where there is a lot of electrical noise, than you may need it. These are optional based on your needs. If you’re looking for a USB 3.0 cable for your personal use, home use, or small business It’s hard to beat the Amazon branded cables. The “AmazonBasics” line includes private label consumer electronics (USB Cables, HDMI Cables, Audio Cables, etc.) and their USB cables meet or exceed our expectations. These come in standard sizes of 3 feet (0.9 meters), 6 feet (1.8 meters) and 9.8 feet (3 meters). If you’re developing a product for commercial applications, it’s best to go with a leading cable manufacture. These companies stock many different lengths, colors and ratings. Volume pricing for production is also available. For more information on what a, B, male, female and the various pinouts for each cable are, please check this guide to USB cables. The most common cable types are “A-Male to B-Male”, “A-Male to Micro-B”, “A-Male to A-Female” and “A-Male to A-Male”.